Screen shots of the User Interface of Axis Camera Management. Typical user examples where Axis Camera Management would provide an easy and efficient solution. 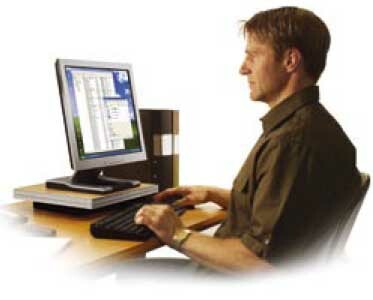 A user with the responsibility to set the IP address of all newly installed Axis network video products. Axis Camera Management is a powerful and efficient installation and management tool for use with Axis video products. Axis Camera Management makes use of standard network protocols and methods and can automatically find and set IP-addresses, show connection status and manage firmware upgrades of multiple Axis video products. Axis Camera Management must be installed on a computer running Microsoft Windows. Axis Camera Management software can be used with hundreds of Axis video products and with IP-Surveillance installations of all sizes. Together with Axis video products, the software takes advantage of your existing network infrastructure. [Find out more...] Axis Camera Management "Technical Data Sheet", 184kB pdf file. [Find out more...] Axis Camera Management "Software Release 2.0" (PDF), 262 kB pdf file. [Download Axis Camera Management...] from Axis web site [23Mb] , (Requires Registration). [Download Axis Camera Management...] from OmegaCubed.net web site, 23Mb "executeable version".